Below are some images of a military vehicle I made for Meggitt Training Systems. 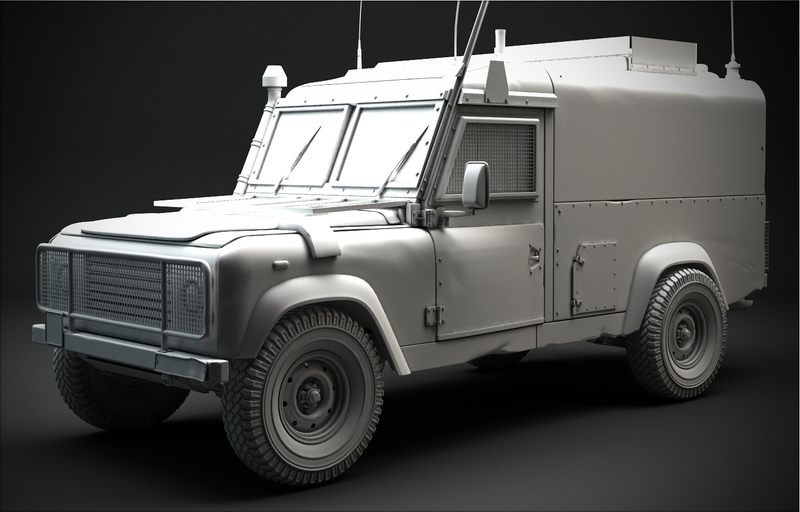 The high-poly work was done in 3ds max using TuboSmooth Pro. It was then detailed in mudbox and rendered with VRAY. Tools used for this project include 3ds max, mudbox, VRAY and photoshop. Click each image for a full size version. 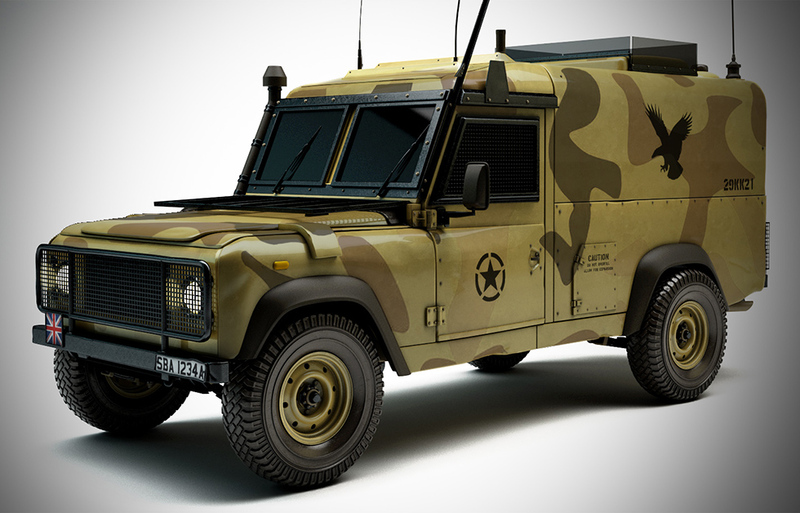 Snatch2 Vehicle - Modeled and rendered in 3ds max. Click for a larger image. Snatch2 Vehicle White Pass. Click for a larger image. Snatch2 Vehicle Paint Variation. Click for a larger image. 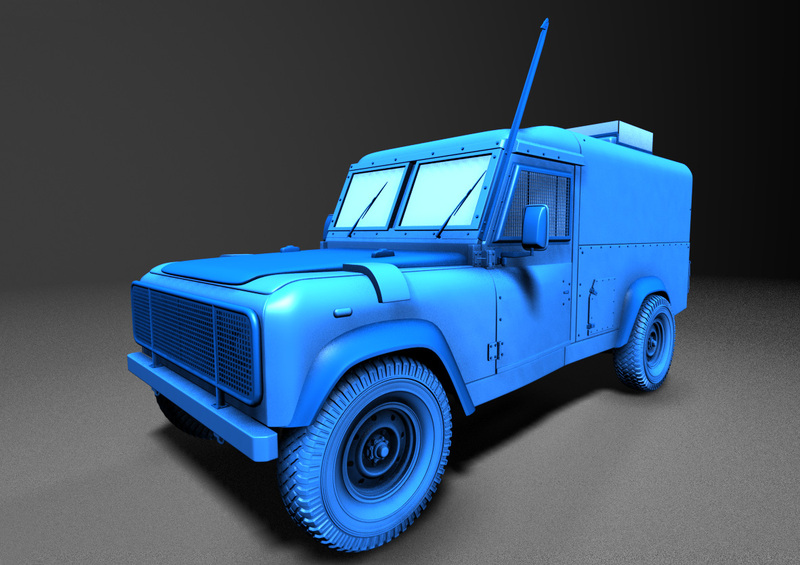 Snatch2 Vehicle Modeling WIP Screenshot from 3ds max.